Summary:As the Iranian revolution reaches a boiling point, a CIA ‘exfiltration’ specialist concocts a risky plan to free six Americans who have found shelter at the home of the Canadian Ambassador. They must shoot a film in Iran. Ben Affleck may as well start preparing room on one of his shelves because he’ll soon be bringing home a new friend named Oscar. While many films are dubiously called ‘film of the year’ Argo isn’t just one that truly deserves that title, it actually deserves to be called one of the films of the generation. Based on real events Argo is set in late 1979 and early 1980 when a group of American Embassy workers are taken hostage during a revolution in Iran (then called Tehran). What worries the American Government even more is the fact that some of the workers escaped the embassy and need to be rescued from where they are hiding in the Canadian Ambassador’s House. With their lives in danger the government wants them rescued as quickly as possibly but with guards patrolling all the airports it is going to take a very special story to get past them. Enter CIA Agent Jack O’Donnell (Bryan Cranston – Total Recall, Rock Of Ages) who turns to one of his top operatives, Tony Mendez (Ben Affleck – To The Wonder, The Town) to come up with a believable story. However when Tony gets famous producer John Chambers (John Goodman – Flight, Trouble With The Curve) and director Lester Siegel (Alan Arkin – Arigo, The Muppets) on board to try and trick the Iranian Government into thinking that Hollywood is about to film a sci-fi blockbuster in their country it is up to O’Donnell to try and get a list of people including Hamilton Jordon (Kyle Chandler – Super 8, TV’S Friday Night Lights) to see that this far-fetched plan could actually work. While many have criticized Ben Affleck for some of the poor acting roles he has filmed over the years you certainly can’t criticise his directing skills. With films like Gone Baby Gone and The Town under his belt Affleck cemented himself as one of the most exciting directors going around. Argo tops any of them though and shows Affleck is in fact one of the most talented directors that Hollywood has ever seen. Few directors manage to present suspense to their audience in the way that Affleck does with Argo. So tense are the scenes at the airport that the audience are on the edge of their seat yet Affleck still makes the film completely natural, he never milks it for theatrical effect and as a result the audience at the Melbourne media screening was so impressed they broke out into a round of applause… something that rarely happens with modern films. The naturalistic feel to Argo enhances many scenes and when you see photographs of the actual events (and the people that took part in them) you can see that Affleck has gone for a brand of perfection that just goes to show what a fine director he really is. 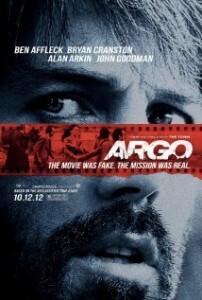 Argo is a guaranteed Oscar winner and will go down in history as one of the finest movies ever made. Summary: From creative genius Tim Burton (“Alice in Wonderland,” The Nightmare Before Christmas”) comes Frankenweenie, a heartwarming tale about a boy and his dog. After unexpectedly losing his beloved dog Sparky, young Victor harnesses the power of science to bring his best friend back to life – with just a few minor adjustments. He tries to hide his home-sewn creation, but when Sparky gets out, Victor’s fellow students, teachers and the entire town all learn that getting a new “leash on life” can be monstrous. It’s something that fans of director of Tim Burton have never had to go through before… a patch where the legendary filmmaker has actually delivered some fairly ordinary films. Alice In Wondeland was one of the worst films he has ever delivered while Dark Shadows was good but nowhere near as great as the films that have earned Burton the respect of the film making world over his career. So it’s great to see Burton get to the top of his game once again with Frankenweenie. 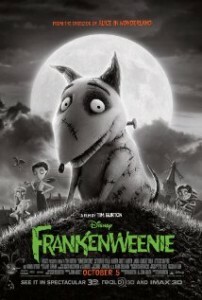 Frankenweenie follows young Victor Frankenstein (voiced by Charlie Tahan – TV’S Blue Bloods & Law & Order: Special Victims Unit) a gifted young student who listens too carefully to his science teacher, Mr. Rzykruski (Martin Landau – Dark Horse, Have A Little Faith) and brings his one true friend, his dog Sparky back to life after he is killed in a tragic accident. Victor is quick to work out that he needs to keep the revived Sparky a secret from his parents (Catherine O’Hara – TV’S Leslie & Glenn Martin DDS and Martin Short – Madagascar 3: Europe’s Most Wanted, TV’S The Cat In The Hat Knows A Lot About That) but when fellow student Edgar (Atticus Shaffer – TV’S The Middle & Shake It Up) finds out what has happened it is only a matter of time until others including Elsa (Winona Ryder – The Letter, The Iceman), Bob (Robert Capron – Diary Of A Wimpy Kid: Dog Days, The Three Stooges) and Toshiaki (James Hiroyuki Liao – Applebaum, World Invasion: Battle LA) also find out and decide they can try and bring things back to life as well. Frankenweenie sees Tim Burton return to the type of stop animation that made some of his early movies really stand out. Together with a great script Burton has used the animation of Frankenweenie to really take this film back to the period when it was set… in the 1950s. Throughout the film Burton pays tribute to horror films of the past in such a way that the film becomes a pure joy for any serious film lover to watch. In fact while Frankenweenie is being promoted as a children’s/family film you would have to argue that this is one animated films that adults are going to love, even the script allows for some adult humor that will go right over the heads of all the kids in the audience. The other part of Frankenweenie that makes this such a memorable film is the amount of work that the animators have put into each character. While some resemble characters from horror films of the past others are so strange and hilarious that you’ll end up laughing as soon as they appear on screen. Frankeweenie sees Tim Burton return to his usual brilliance and you certainly won’t be disappointed. Summary: Momentarily hailed as the finest recording artist of his generation, he disappeared into oblivion – rising again from the ashes in a completely different context a continent away. 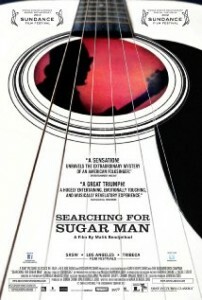 SEARCHING FOR SUGAR MAN is a film about hope, inspiration and the resonating power of music. You can hear Subculture Media’s review of ‘Searching For Sugarman’ in episode #2 of our The Good The Bad The Ugly Podcast .